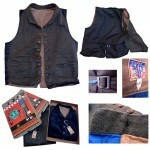 Moving right along our journey West… Introducing the FARO WAISTCOAT, as the second installment of the “Men of the Frontier” MFSC Fall 2012 Collection, following its original Spring 2012 chapter. 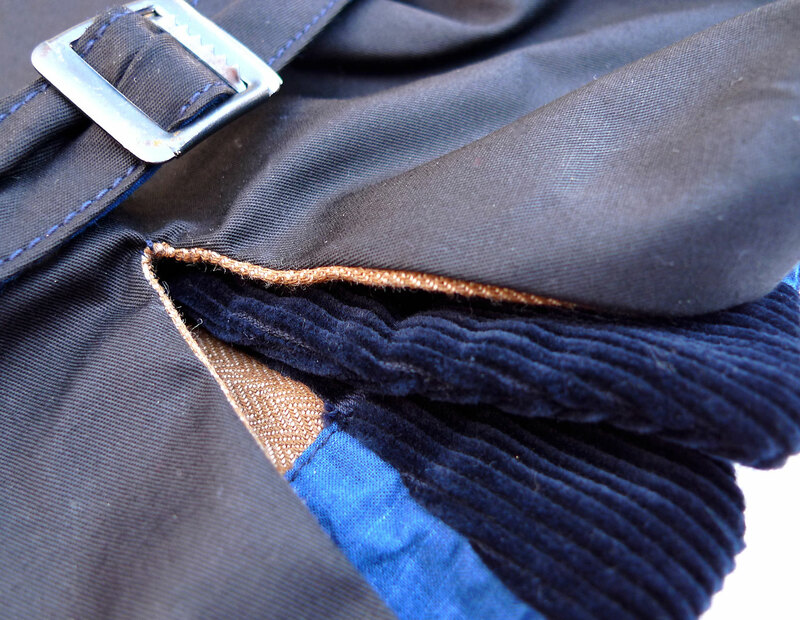 The first Fall 2012 installment was the Frontier Chinos. This time we took our hombres away from the open range or work place, and into the dark oil lamp lit saloons of the early American Frontier. Gamblers’ halls and other fine whiskey pouring establishments were the main source of social entertainment for the hard living bunch at the edge of the Old World and the New. 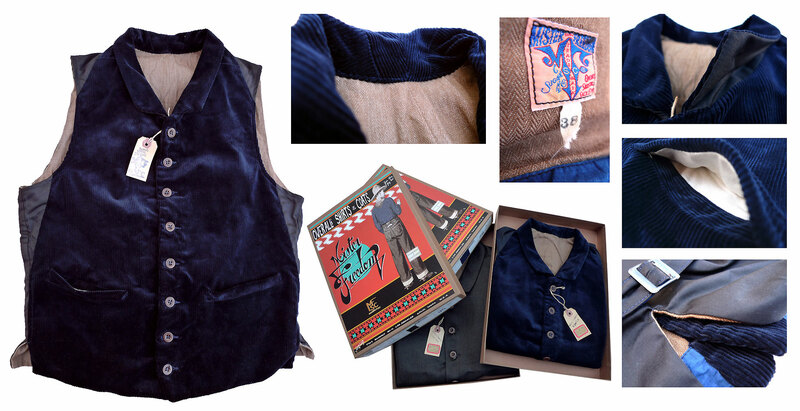 In comes our Faro waistcoat… With its origin in 1700’s France, Faro became a popular single deck card game in the American West of the 1800’s. Until it was gradually supplanted by the game of Poker in the early 1910’s, Faro had been responsible for small fortunes lost and won, and a few gun fights. 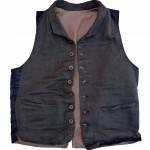 Waistcoats were a permanent feature in old period photography, at times when looking your best in public involved tucking and buttoning up your shirt, along with wearing your britches in such a manner that only you knew the maker of your skivvies. 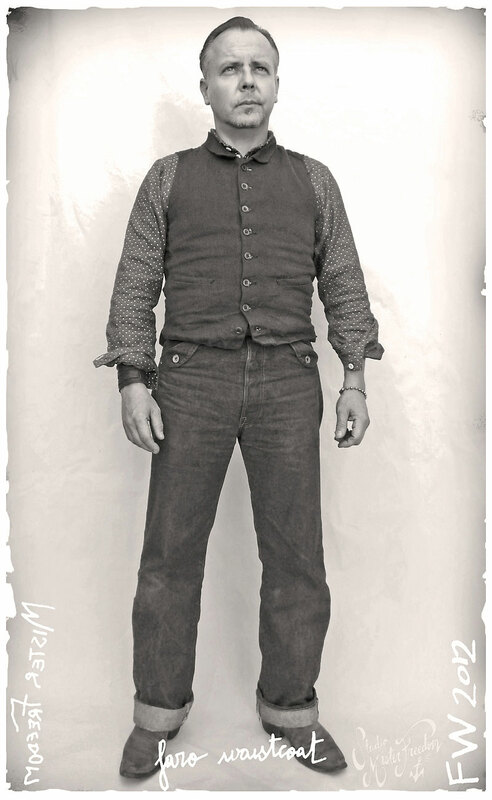 A dress code seemed to often apply to most, whether coming off a horse, out of a mine, bank, jail… and no matter how wealthy or educated you were. 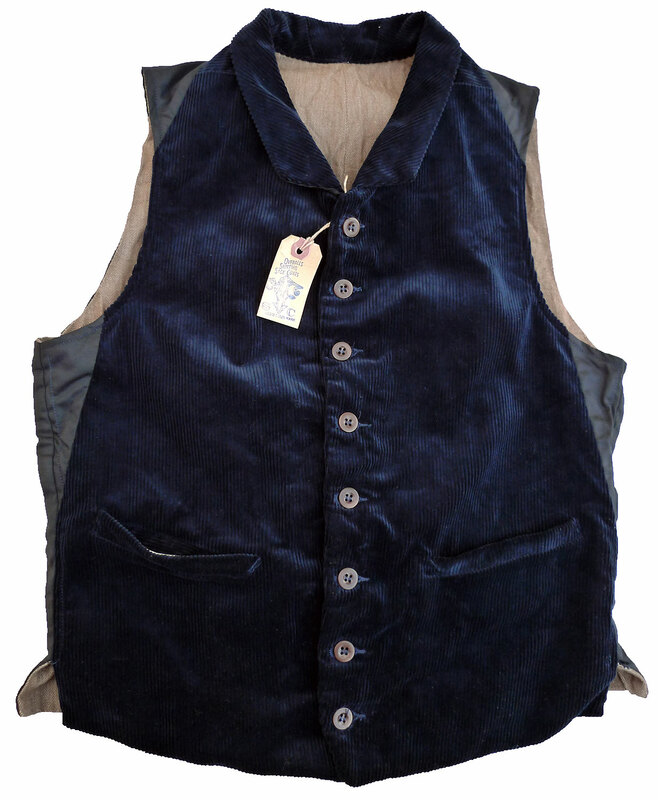 Lest I drift any further, let’s mention that the design of our Faro waistcoat is inspired by a late 1800’s vintage French silk velvet vest, high buttoned and narrow collar, that could have been sported by a card dealer, gambler or gunslinger in a lively 1905 saloon. 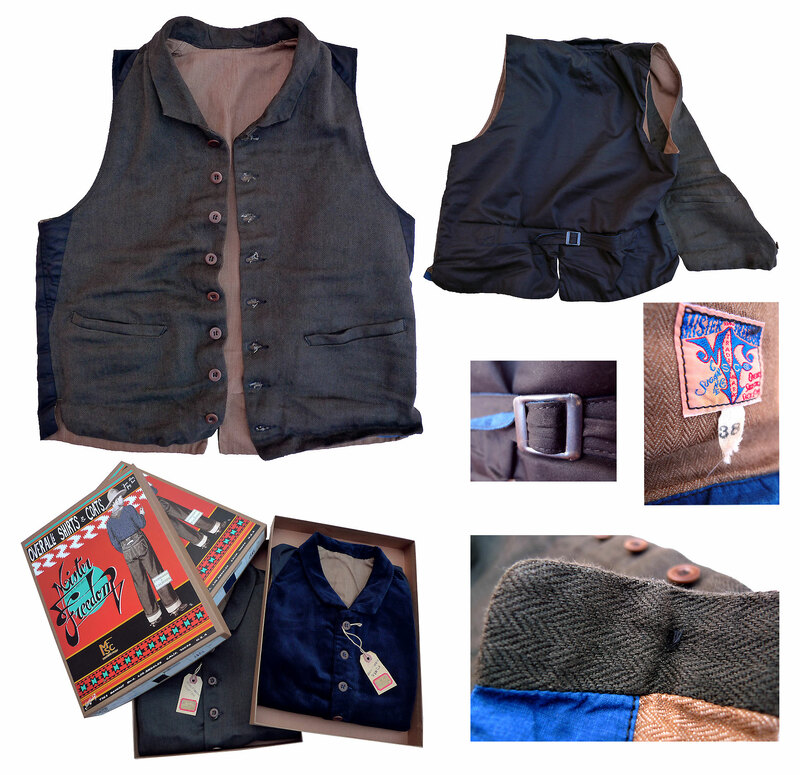 We combined several elements of early vest patterns, outer and inner panels and piecing, and came up with this, if we may say so ourselves, elegant gentleman waistcoat. 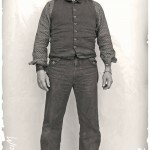 As always, being an expert at losing your pay bucking the tiger or playing an extra on Deadwood is not required to wear our “Men of the Frontier” gear. 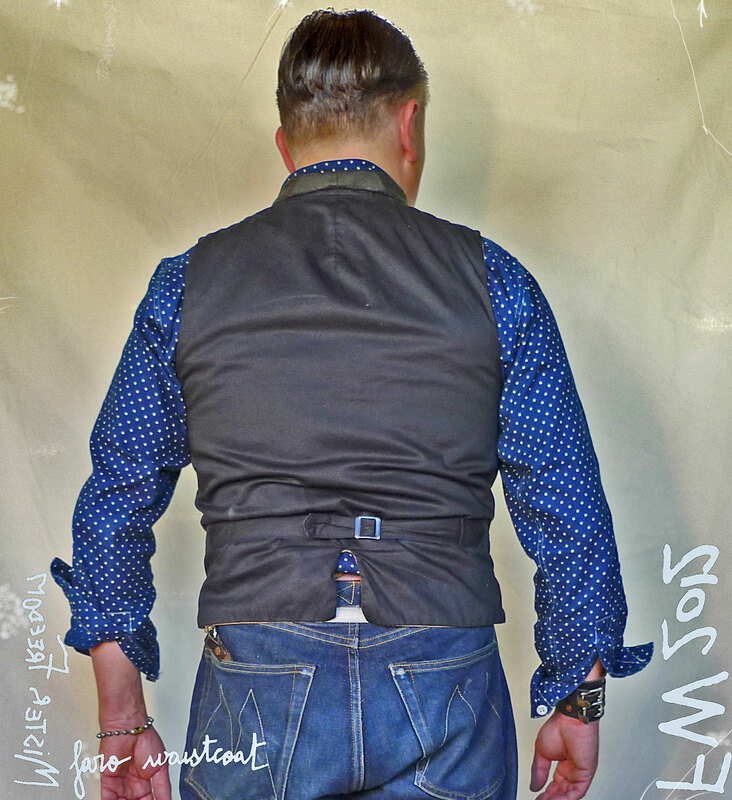 Blending clothes tastefully is key to having your own non-contrived style, staying clear from the ‘costume’ look, although all that is of course very subjective. 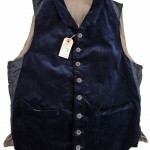 If we don’t recommend pairing this Faro waistcoat with a track suit and Crocs, we leave it up to you to make it look good with denim jeans, cotton shirt, trousers from your existing wardrobe… The versatile collar can be folded for a deeper cut look. 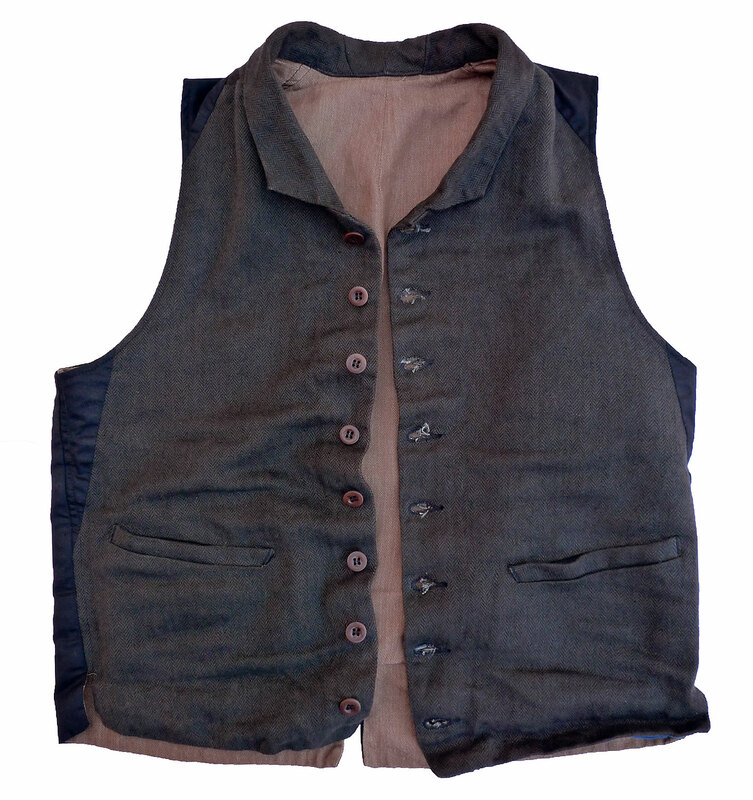 I often like wearing vests/jackets with only the top two buttons closed, a trick often seen in vintage photography, allowing easier reach to the trousers pockets. Two fabric options are available (apples and oranges, impossible to compare.) 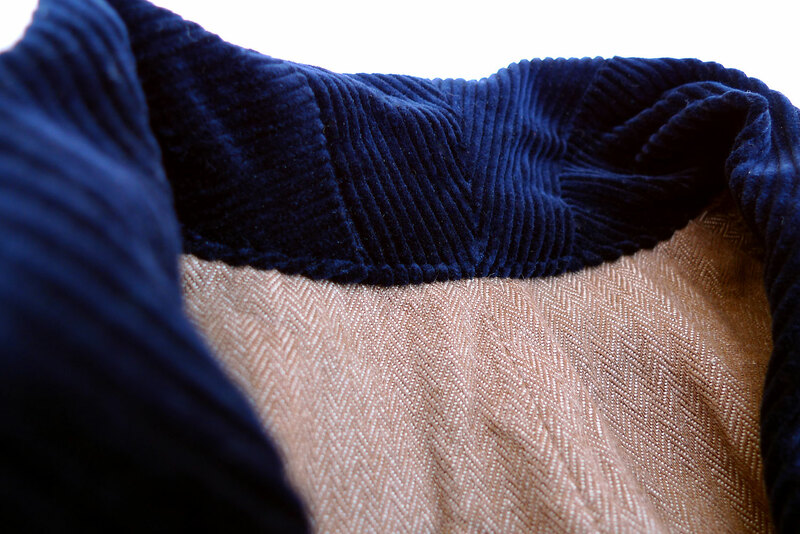 Both textiles were woven in Japan, in limited batches, exclusively for MFSC®. 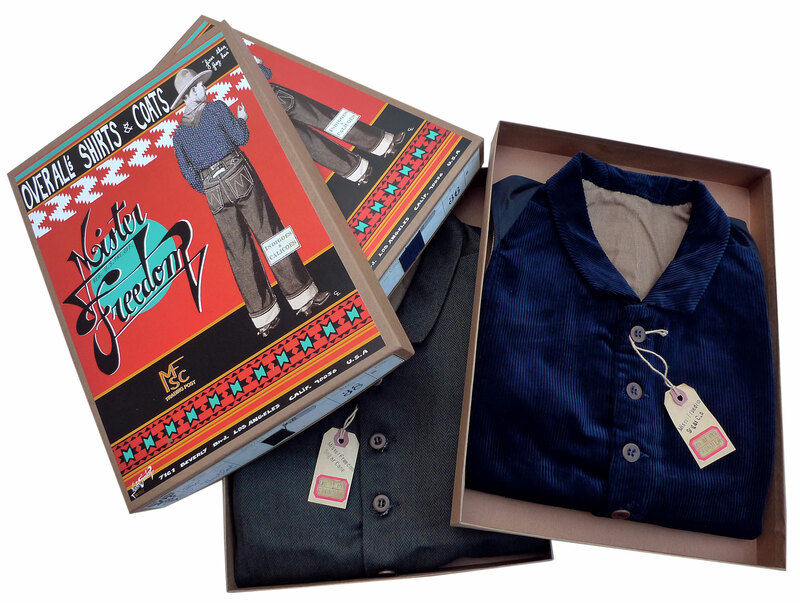 Designed in California by Mister Freedom® and crafted as a one-time limited batch by Sugar Cane Co in Japan. 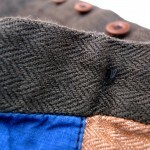 PATTERN: An original MFSC®, inspired by late 1800’s gents’ waistcoats. 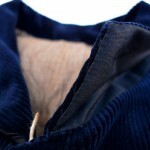 High buttoned, small lapel, slim snug silhouette. 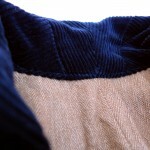 a) Deep rich navy blue color, 100% cotton corduroy, midwale (9 wale/inch), 11 Oz. Woven in Japan. 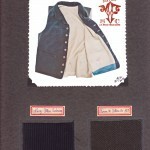 BACK PANEL: Black all cotton sateen. 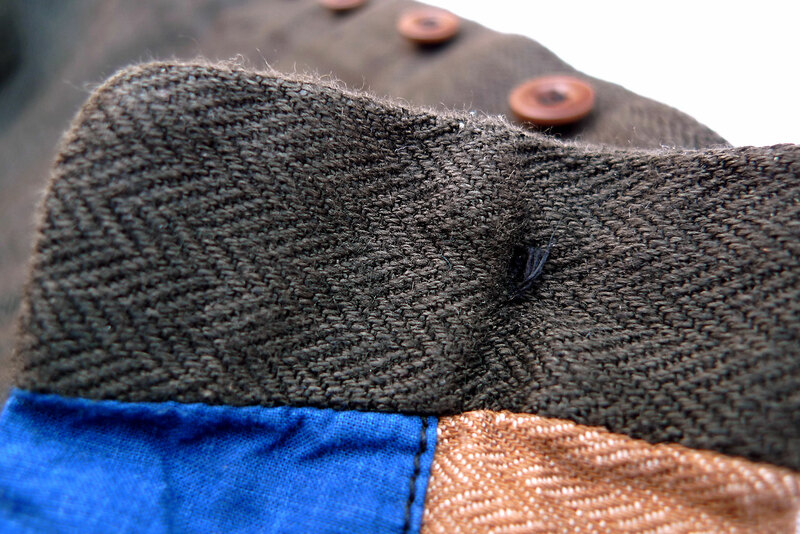 INNER LINNING: Combination all cotton HBT (ochre color) exclusively woven for MFSC®, and indigo blue cotton poplin. 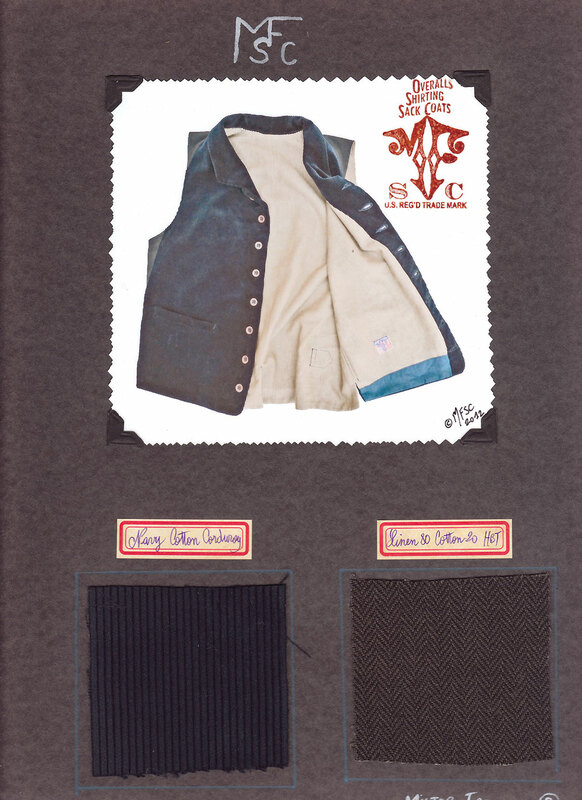 * Intricate early waistcoat panel construction. 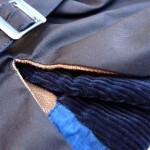 Tailor made style. * Back cinch strap with French New Old Stock (NOS) metal slide buckle. 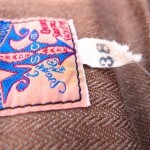 * Eight button front, brown corrozo. 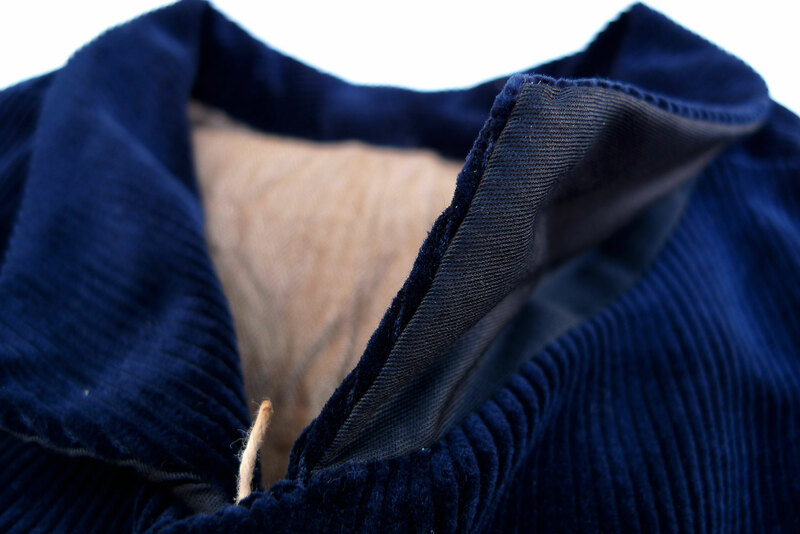 * 100% cotton thread tonal stitching. 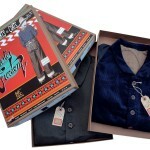 PACKAGING: Sturdy cardboard box with MF® original artwork. 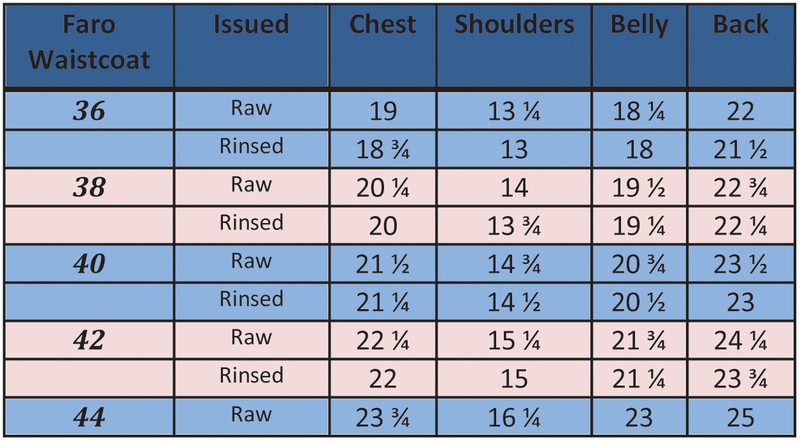 Please re-use. 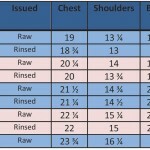 After shrinkage, both fabrics will shrink to the same specs. We recommend an initial cold rinse and line dry. 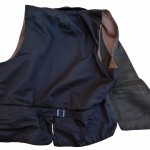 The vests fit true to size. 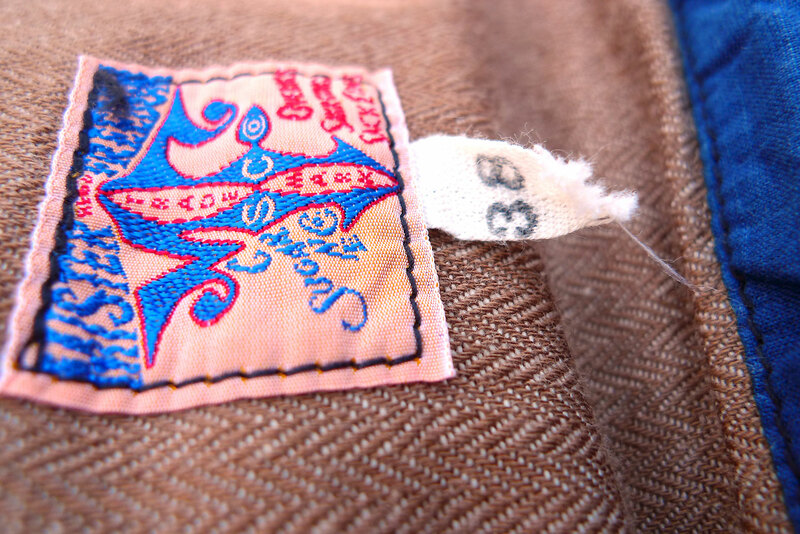 I am a 38 and wear a 38 in the Faro vest. 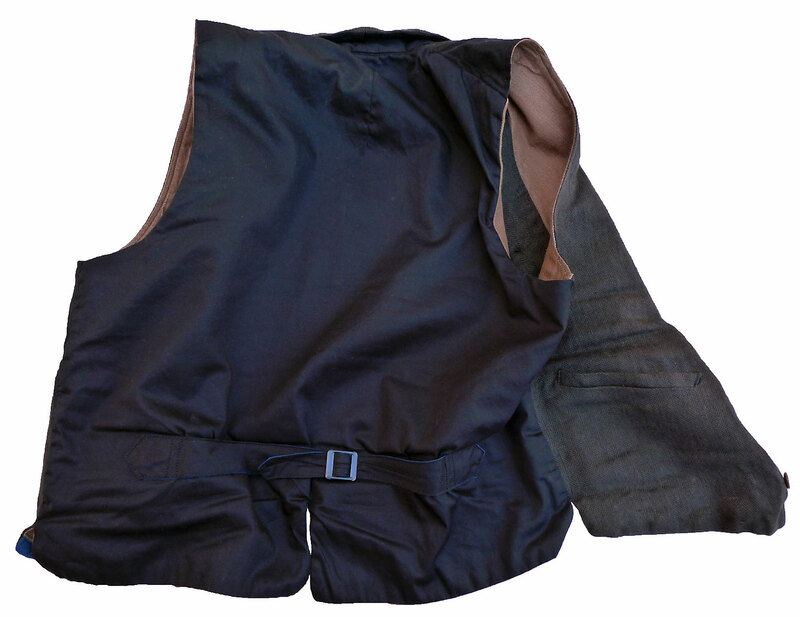 Just as you wouldn’t boil a fancy suit, please treat with care or take to your environmentally friendly dry cleaner for future cleaning. Call 323-653-2014 or mail sales@misterfreedom.com to get yours while they last. 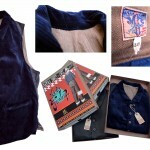 We ship internationally to select Countries. Thank you for the support, friends.